Located within the community of Brunswick Forest, Cape Fear National® is an award-winning course offering 18 holes of premium public play golf in a setting of unmatched beauty. Golfweek magazine recently named Cape Fear National® the “#11 Best Course You Can Play in NC“, furthering the conviction that Cape Fear National® is an absolute must-play for both the beginner and avid golfer. 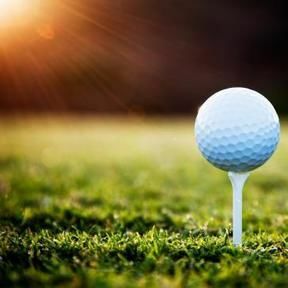 Brunswick Forest residents enjoy this outstanding course right in their community, yet they do not pay dues or maintenance fees for the course, and receive preferred rates and tee times. Cape Fear National® is an award-winning course consistently singled out for its quality of play, and Brunswick Forest’s Cape Fear National® is now giving golfers an even better experience by offering touchscreen GPS golf carts. We’ve replaced every cart in our fleet with the Precedent i3, the first golf cart in the world with built-in connectivity. This technology is proving to be a real game-changer, so book your tee time now! Book a tee time here, or call 910.383.3283. As part of the Brunswick Forest community, Cape Fear National® is just six miles south of historic downtown Wilmington and 45 minutes north of the golf mecca of Myrtle Beach, SC. Players find it an ideal stop along Highway 17 as they make their way to and from Myrtle Beach.